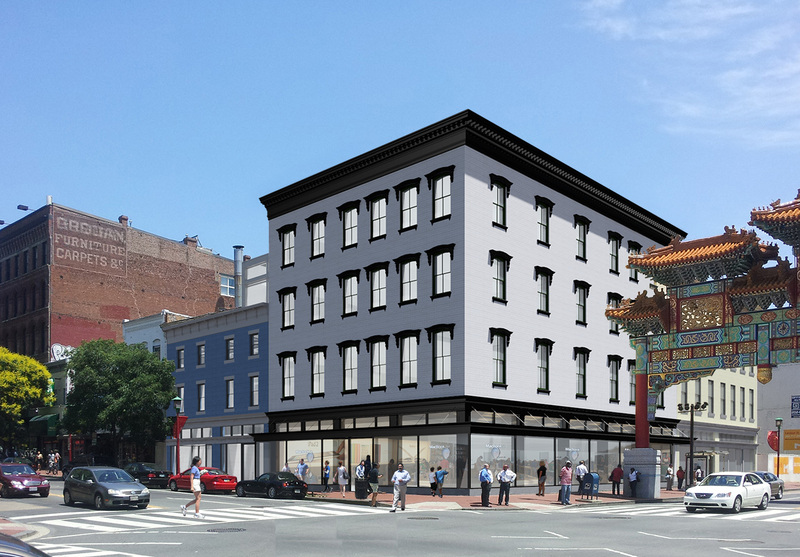 Located at the corner of 7th & H Streets NW in Chinatown, Gallery Square entailed the rehabilitation and expansion of six adjoining historic buildings within DC’s Downtown Historic District. The combined mixed-use building now houses a total gross area of 60,000 sf on five floors, including one below grade. The basement, ground, and second floors were developed for retail and restaurant uses, while the third and fourth floors were renovated and expanded to accommodate new office tenants. Developed by McCaffery Interests and the Douglas Development Corporation, the project earned an award of excellence from the DC Historic Preservation Office.